Dear children, we need your help! You have probably heard that there are many wars and conflicts, famines and suffering in our world today. Many people are suffering from sadness in their hearts and terrible poverty and even the cruelty of people hurting each other to feel powerful. Sometimes, we may feel like we can’t do anything to help or to change things. 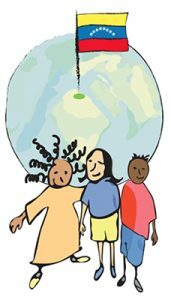 But, we believe you – the children – can help all the whole world in a very special way. Jesus said that children have a very special power to help him do his work through prayer. That is, YOU can help Jesus by sending your prayers to Heaven. That is why we are inviting you to pray (which is very very powerful) and ask for peace through your prayers with your Rosary to Mary, our mother. Did you know that by praying the Rosary, it is like you are holding Mary’s hand in yours? 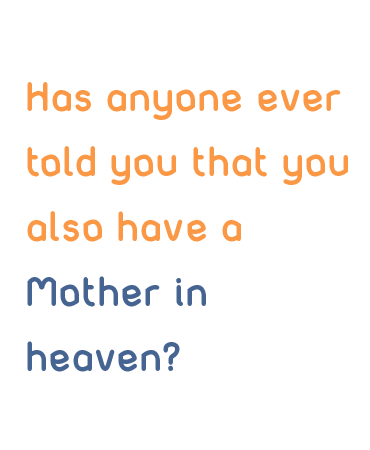 So, with your help, she can ask her precious son,Jesus, for great miracles. Thank you very much for praying the Rosary with so many other children, just like you, all around our wonderful world! With all of your hearts praying together with Mother Mary, you can make a big difference and bring blessings of peace and unity to the entire planet through Divine Mercy. The aim of this prayer initiative is, first of all, to show that the trusting prayer of children can fly like an arrow straight to the heart of God and consequently has great power. 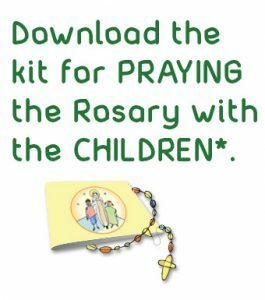 How powerful then is the prayer of the Rosary prayed by children for peace and unity within families, within their own nation and in the whole world! As Pope St John Paul II wrote in his apostolic letter on the Rosary, „The Rosary is by its nature a prayer for peace, since it consists in the contemplation of Christ, the Prince of Peace, the one who is “our peace”… The Rosary is also a prayer for peace because of the fruits of charity which it produces… By its nature as an insistent choral petition in harmony with Christ’s invitation to “pray ceaselessly”, the Rosary allows us to hope that, even today, the difficult “battle” for peace can be won. And so we are turning to you today with the request to help us and – wherever there are children present, whether in the schools, kindergartens, hospitals or children‘s homes – to encourage and prepare these young people to pray the Rosary, together with tens of thousands of others all around the world on the 18th of October. Over the past years we have received countless testimonials in response to this initiative. They speak of the joy of the children and of the profound impression this prayer has made on all the adult helpers in the thousands of school classrooms and other groups where it has been made all over the world. Please join with us! 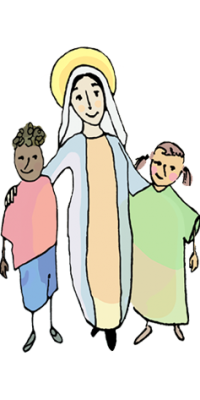 Please help us to bring these children to Jesus and Mary, who alone can bring the world the gift of peace.